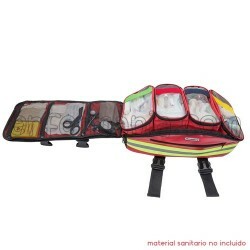 Backpack of basic life support with trapezoidal shape, designed to make rescues or interventions in multiple settings, including areas of difficult access, mountain and/or confined spaces. 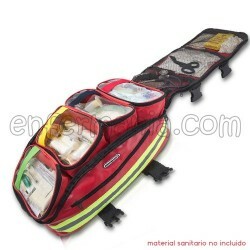 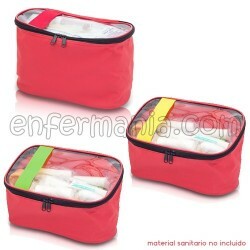 Compartmentalized in its interior with 4 pockets transparent window, developed to accommodate all the material respiratory, circulatory, surgical and paediatric. 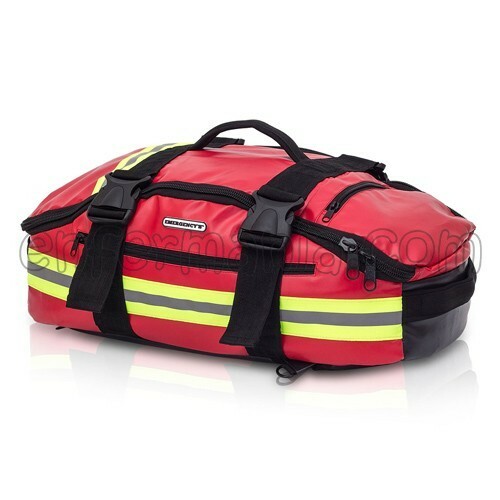 Its top handle allows you to transport them quickly and safely thanks to the four bands of closure that complete your structure, in addition to their shoulder straps for backpack hidden in the bottom which optimize their transport possibilities. 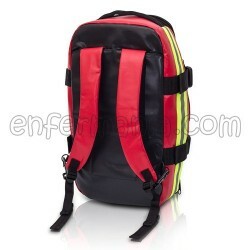 Made of canvas waterproofed, to resist in all situations.